I am a Senior Lecturer and the Psychology Clinic Director in the School of Psychology & Public Health at La Trobe University. I am a clinical psychologist and researcher based in Melbourne, registered to practice in Australia. I previously worked as a consultant clinical psychologist and the psychology lead for early intervention for psychosis, at the South London and Maudsley NHS Foundation Trust, UK. I trained as a clinical psychologist in 1994-1995 at Murdoch University, specialising in psychological interventions for psychosis. On qualifying I worked in a pioneering service for early intervention for psychosis in Perth, Western Australia, before moving to the UK in 1999 to work for the National Health Service in Hampshire and South London. My clinical experience is in providing cognitive-behavioural and family interventions for people recovering from serious mental illness (psychosis, bipolar disorder) and their families. 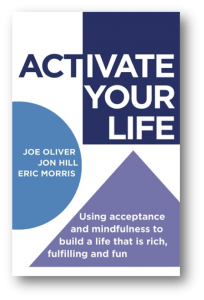 I have been practising Acceptance and Commitment Therapy (ACT) for nearly 20 years, including supervising and training therapists using contextual cognitive behavioural therapies. I am a founding member and a former chair of the Acceptance and Commitment Therapy Special Interest Group (ACTSIG) of the British Association for Behavioural and Cognitive Psychotherapies. 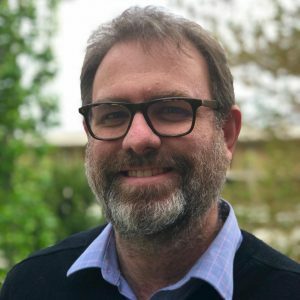 I have also served as a Board member and President of the Australia & New Zealand Chapter of the Association for Contextual Behavioral Science. I am a Fellow of the Association for Contextual Behavioral Science. In 2013 I completed a PhD at the Institute of Psychiatry, Psychology & Neuroscience, King’s College London, researching psychological flexibility and auditory hallucinations. 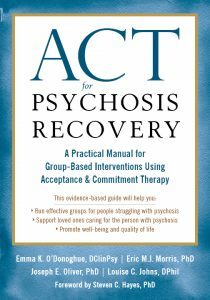 I also researched ACT as a group-based intervention for people recovering from psychosis, and as a workplace resilience training for mental health workers. 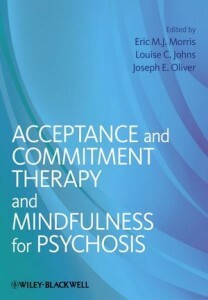 I am a co-editor of a book on ACT and mindfulness therapies for psychosis (published by Wiley-Blackwell in April 2013), co-author of a self-help guide, ACTivate Your Life: Using Acceptance and Mindfulness to Build a Life that is Rich, Fulfilling and Fun (published by Constable & Robinson in March 2015) and co-author of a groups manual ACT for Psychosis Recovery (published by New Harbinger in March 2018). I blog about psychological topics – you can check out my posts here. I also tweet about the latest research in clinical psychology: look at my Twitter feed (and in the sidebar on this page).